This is another interesting Sears-branded Atari system, although unfortunately (for me, anyway) this is one of the few unboxed systems that I have, and one of the controllers has a busted spring. It’s a really cool system but I probably will replace it at some point. Incidentally, I’ve told this story before and was laughed off without pics, but I finally found the one I took – here’s a boxed Atari 2800 practically sitting on the floor at Super Potato in Tokyo. I passed on it like an idiot – I will almost definitely not see one again. The price was ¥31280, or about $272 at the time. Practically a bargain. 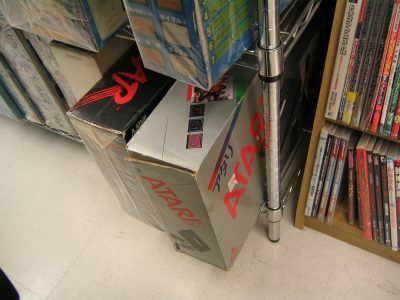 I’m not sure if it happened before or after the 2800’s release in Japan but at some point, Atari approached Sears to see if they’d be interested in selling the system in the US, and Sears bit. Like the original Video Arcade, they branded the system a Sears system and put it on sale (cosmetically, the only real difference between the 2800 and the Video Arcade II is the name plate, and there is no functional difference). 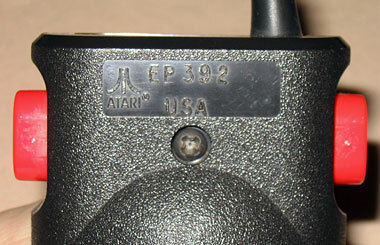 Atari later used the 2800’s case for the 7800, with some minor changes. 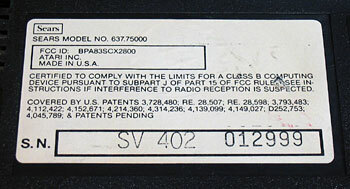 This was the first of Atari’s “wedge” designs. I’ve been told the Japanese-marketed 2800 was built in Hong Kong. 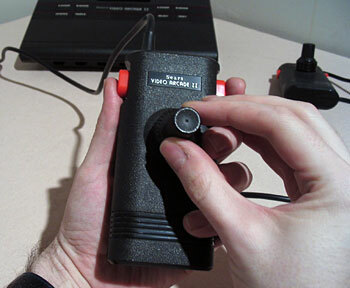 The apparent weak link in these controllers is that inside, the “spring” for the fire buttons is simply one small piece of slightly bent wire spanning the width of the controller, pushing on each button. On one of my controllers, this piece of wire is broken. The controller itself works but it is impossible to press the fire buttons. Seems like a simple fix but also seems like something that would break easily again. I’ve had one of these for more than 10 years now. I have 50 games and I usually play it abut once a week. When I got it there was something rattling inside the controllers so I opened them and it was the bent wire meant to be placed between the firing buttons. I didn’t know, at the time, what I was doing so I threw it away. The controllers still work and the firing buttons have been used 1000s of times since I bought it…each time to satisfaction. Hello; I am a happy owner of an Atari 2800, by any chance does somebody can tell me how mucho it will worth: I have the console practically new, both controllers are in perfect shape and 20 different games cartridges; including: pacman; space invaders, star wars,spiderman, tower inferno, asteroids, and many other cool games. Is the second button on this version compatible with 7800 games that use two buttons? Atari had an odd wiring configuration for the 7800 so both buttons on the standard clunky 7800 controller worked as the first button in 2600 games. I ask because I’m considering buying one of these because I find the standard 7800 controller painful to use and the 7800 joypad is very expensive. I can get one of these much cheaper. So will both buttons on this work for different functions on 7800 games? It’s been a while since I even fired this system up and even longer since I opened the controllers, but as far as I remember the two buttons were wired to the same place. They’re the same button. 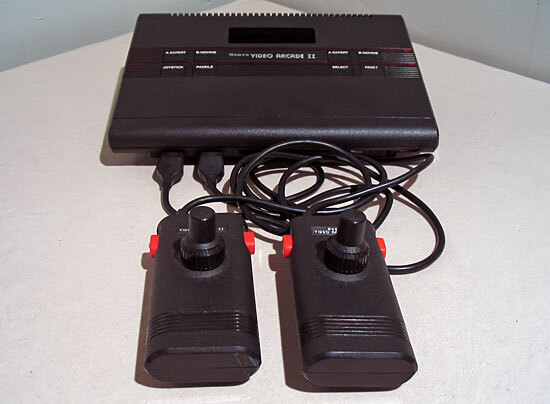 The system only plays 2600 games so it wasn’t really intended as a replacement for 7800 controllers. I have one of these systems but when i turn it on i get no picture, I tried all the normal checks, channel selector etc. anybody know what is wrong with it? Depends on condition and completeness as well as what specific games you have. Video Arcade II’s on their own aren’t worth much. It’s funny because Atari 2800’s, which are literally the exact same console with a different faceplate, are worth hundreds of dollars even loose without a box. 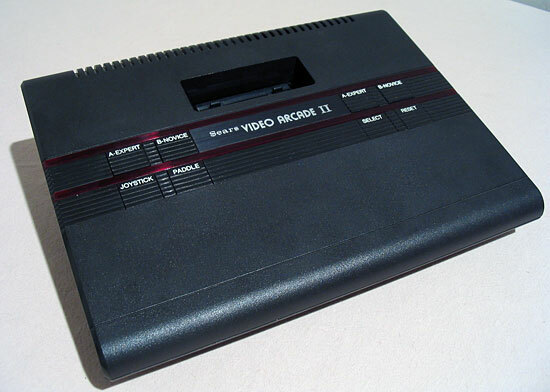 The Sears Video Arcade II was my first console. I got it for Christmas long ago. It came with Space Invaders and Pac-Man. My older brother got Defender and Pole Position and my younger brother got Circus Atari and Breakout.